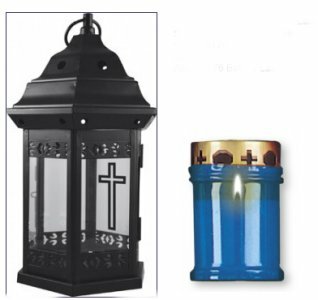 CATHOLIC GIFT SHOP LTD - Metal & Glass Grave Light 10 inch with Candle. Metal & Glass Grave Light 10 inch with Candle. Metal & glass grave light 10 inch with candle with 39 hours burning time, singly boxed.